Community Solar Gardens (CSG): In 2016, the University subscribed to two megawatts (MW) of solar power from a CSG developed by Geronimo Energy. This investment will save the University approximately $800,000 and offset ~55,300 metric tons of greenhouse gases over 25 years. In 2017, UMN subscribed to a total of 22.5 additional MW. The additional subscriptions are expected to produce 1,095,187,000 kWh of electricity and generate $35,661,070 in savings over 25 years. On-Site Solar: Ameresco, Inc will install 2.255 MW of solar panels on the Twin Cities campus. The University’s new Bell Museum will also include several small educational solar arrays. Delegation students also developed a transportable solar testbed that students will be able to use on campus. Duluth Campus Student Services Fee: UMD students successfully petitioned and received $100,000 from the Duluth Campus Student Services Fee and another $50,000 from UMD’s Revolving Loan Fund. The funds will be used to install an 11kW PV array on campus in 2016. Xcel Energy Renewable Connect: UMN recently signed up to participate in Xcel Energy’s program, which allows ratepayers to subscribe to energy produced from wind and solar. The University recognizes this as a step forward towards sustainability and a wise financial investment. Cost Savings: Financial viability was a major factor that stakeholders at the University considered when deciding whether or not to invest in solar. 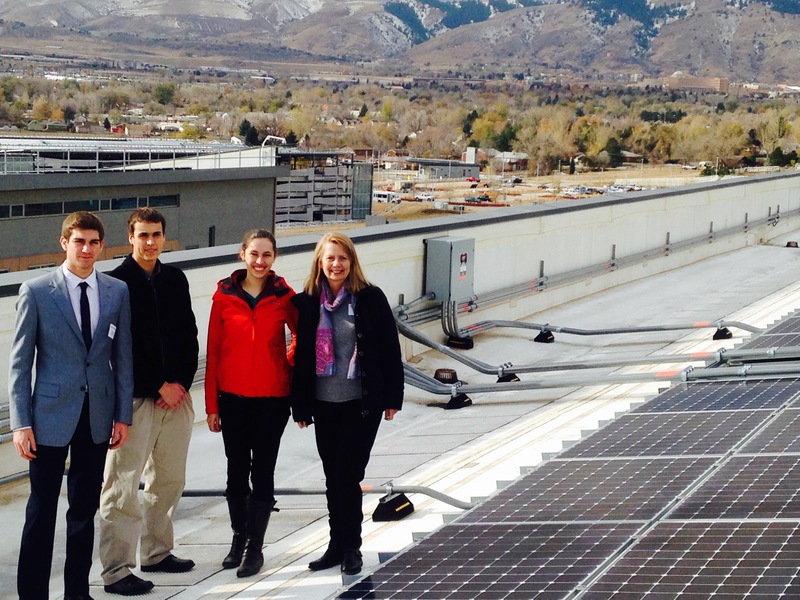 The University expects to enjoy a positive ROI on solar investments. In addition, diversifying its energy portfolio allows the University to improve its resilience against foreseen and unforeseen energy price changes that may occur in the future. Sustainability: Encouraging solar on campus has provided valuable opportunities to improve the University of Minnesota’s leadership in sustainability. The University of Minnesota recognizes climate change as one of the grand challenges humanity will have to overcome in the 21st century and is dedicated to research and is “driven to discover” new knowledge and solutions for the world. Renewable energy technology, combined with energy reduction strategies, have a huge potential to mitigate climate change without sacrificing our quality of life. Educational Value: Solar arrays will advance research and education at the University. Data produced from a solar array and weather stations will allow researchers to create and enhance photovoltaic system models. The solar arrays would also allow educational site visits for classes and student groups across the University. In addition, this work has helped to make University of Minnesota a pioneer in university solar investment. For example, there are no case studies in existence of other universities who have a CSG subscription of more than one MW. The University of Minnesota is a pioneer in this endeavor. 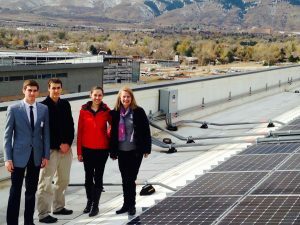 Support for Research: Participation in the Solar Endowment program provided additional resources and legitimacy to students and faculty interested in solar. For example, students encouraged the University to consider opportunities for solar projects aimed at generating low carbon energy while providing valuable pollinator habitat. Positive Public Image: Solar investment will increase the visibility of the University’s position as a leading institution on clean energy and combating climate change. While efforts such as energy efficiency and the CHP project have also had a tremendous effect on the campus’ carbon emissions, the visibility of solar panels will help the University to demonstrate a public commitment to sustainability. This could potentially help the University recruit sustainability-minded students and donors. The University of Minnesota Campus PV Development Roadmap describes the process that UMN students, faculty and staff undertook to investigate and invest in solar. The SUN Delegation compiled this roadmap to guide other higher education institutions considering a path to solar.